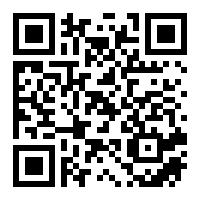 Many people are questioning the validity of the survey, and asking who was asked. 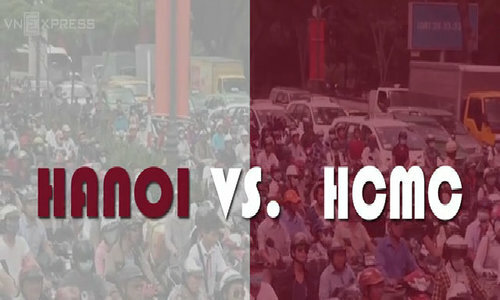 A new survey by the Ministry of Transport showing a majority of respondents backing a plan to ban motorbikes from Hanoi center has raised widespread hackles, but an official has come to its defense. 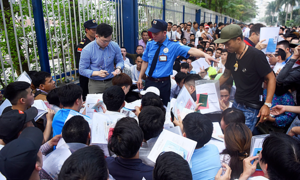 Le Do Muoi, deputy director of the Transport Development and Strategy Institute at the ministry, which proposed the ban, said they had surveyed 15,400 people about the issue. 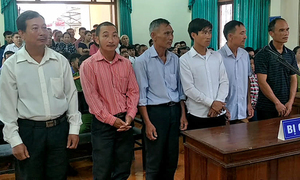 More than 90 percent of them supported the plan to ban motorbikes, currently the country’s most popular means of transport, from the capital from 2030, Muoi said. 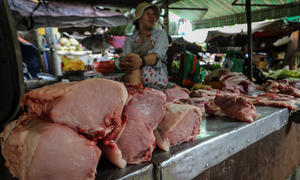 A further 84 percent said they would switch to public transport if it was available. 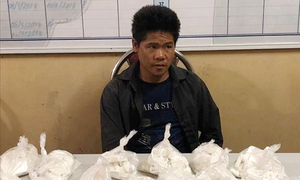 “We did not make this up,” Muoi said at a meeting on Friday. 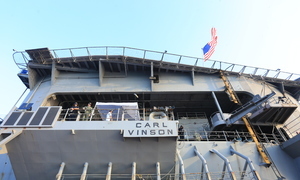 The defense came after members of the public questioned the survey’s authenticity in media reports. Many said it should have been available online to increase coverage and objectiveness. 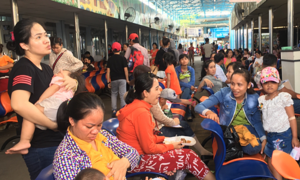 VnExpress on Friday asked people to choose if they supported a motorbike ban if there was adequate public transport. The survey received 2,000 responses in a couple of hours and 70 percent of them said “No”. 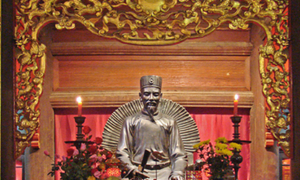 Muoi said that although his institute’s survey could not represent the entire city, a large number of experts and officials supported the plan. 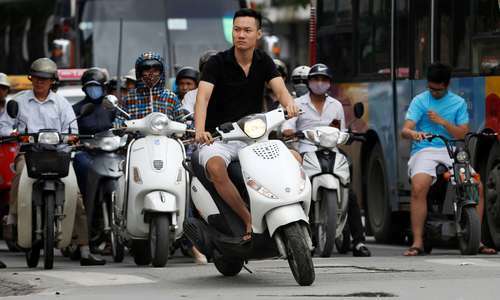 Vu Van Vien, director of Hanoi’s Transport Department, said at the meeting that Hanoi will develop an overall public transport system by 2030 and in order to phase out motorbikes. “We must create a new habit of using public transport. Reducing individual vehicles will make the city cleaner,” he said. The motorbike ban has been brought up and rehashed several times over the past few years, and received strong opposition from many experts and residents every time. Many also said cars were actually to blame for traffic jams, not motorbikes. 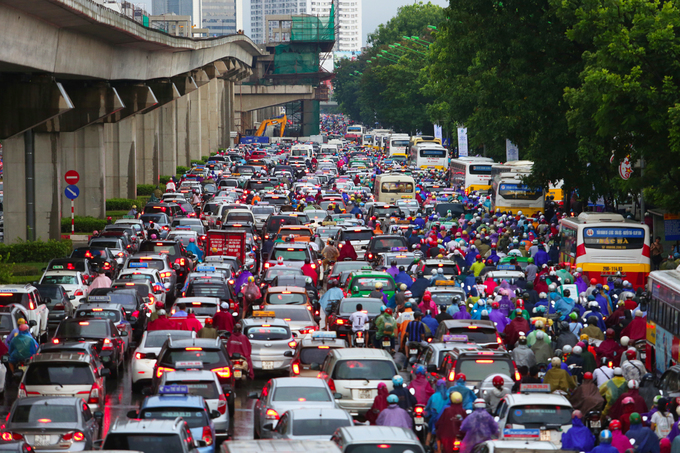 Cars now occupy over 40 percent of the roads in Hanoi, according to local police. The ban, which is up for a final decision next week, also proposes restrictions on cars, but not a blanket ban. According to the plan, cars will have to stay away from certain streets during certain hours and days and pay higher parking fees in downtown areas. 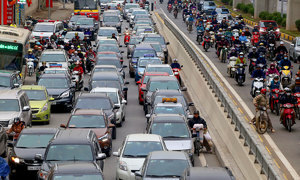 Figures from Hanoi police late last year showed the city of 7.6 million people has more than five million motorbikes and 550,000 cars. Buses are currently the only means of public transport in the city, and they are becoming less popular. The city has been pouring money into other projects, including a metro system with elevated and underground lines. 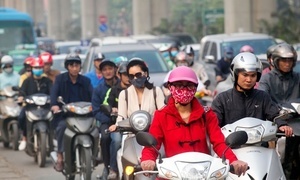 Ho Chi Minh City, which already has eight million vehicles, has 170 new cars and more than 800 motorbikes hitting the road every day, also plans to officially discuss a similar vehicle restriction this October. 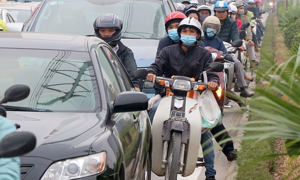 Traffic congestion in both cities has become a major problem and Prime Minister Nguyen Xuan Phuc has approved a plan to establish special committees to fight traffic jams in the cities.